Do you need Buick keys made? People need keys made for many reasons. Perhaps you’ve lost your key or left it inside the ignition, noticing only after the doors were locked. Maybe the key is broken. These reasons are only the start of the many that drivers need keys made. No matter the reason you need a new key, Door N Key Locksmith has your needs covered. Our licensed, trained locksmiths come to your location, cutting and programming keys on-the-spot. We make keys 24-hours per day, 7 days per week, ensuring that key issues don’t cause you to sit around waiting for help. No matter what model or year Buick vehicle you drive, we can make a key (or two) for your car. We service the Enclave and the Skylark, and of course the Century and the LeSabre, too. 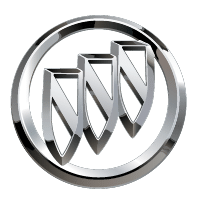 We pride ourselves on key creation for all Buick vehicles, creating keys that are as good as or better than those bought at the dealership. Plus, we’ll make the keys that you need at a price that you can afford. Why spend a small fortune to make keys when we can do it at a price that’s affordable for most any budget?